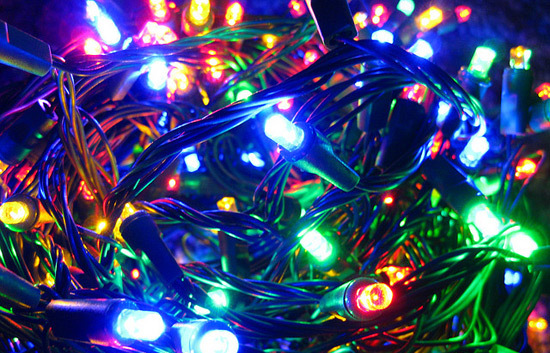 The last November week just started, meaning it’s ridiculously close to Christmas – are you excited yet? If not, and you have the leisure time for a short break before the holidays, we suggest you take inspiration from the Belgians and check out the Antwerp Christmas market. The 10th December will mark the beginning of this year’s festivities in one of Belgium’s most beautiful cities. A spectacle involving fire jugglers, acrobats and a light show will be put on for visitors, but there will be plenty of opportunities to sample local foods and handicrafts until the first week of January. A number of different squares (including the city’s main square, Grote Markt) will be covered in more than 90 stalls and chalets, lovingly decorated and lending the already fantastically cosy city an air of calm and festivity. Traditional food and drink (try the waffles, the croquetttes or the sweet cougnou bread!) will be for sale to keep you warm. There will be plenty of nativity scenes and an ice rink for the kids – what better way to get into the Christmas spirit than with a walk along the cobbled streets, only stopping off for a mulled wine before engaging in some shopping in one of the many boutiques? To get to Antwerp, you can take a P&O ferry to Zeebrugge, from where it is only about an hour’s drive to one of the loveliest Christmas market’s you’re likely to see. 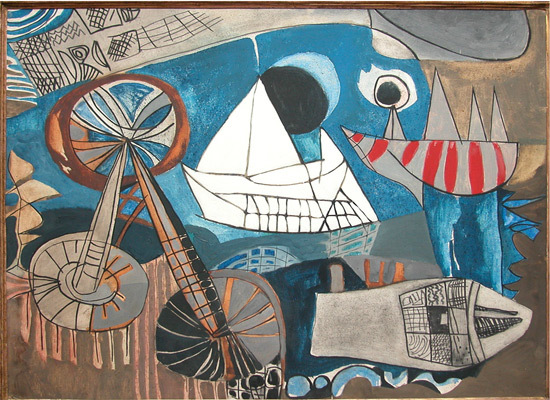 Art inspires the mind, relaxes the soul – and is a great investment to boot. At the PAN Amsterdam art fair, hundreds of dealers and investors will hobnob among some of the most beautiful works of art available anywhere in Europe. Paintings, silverware, antiques and sculptures, as well as works of graphic design, will be showcased at the PAN Amsterdam fair, taking place in the Dutch capital from 20th – 27th November. Only the best of the best will be allowed to present their wares: every work of art is checked for authenticity and quality. This year marks the 25th PAN Amsterdam fair, and in the last two and a half decades it has built an international reputation as a fantastic hub of modern works of art and artefacts. Last year, almost 50,000 art lovers and buyers descended on Amsterdam, surely a sign of a buzzing event this year. PAN Amsterdam takes place at the Amsterdam RAI Parkhal, which is close to the Amsterdam RAI Station. Tickets for this must-attend occasion for art lovers are mercifully cheap: adult day passes cost €15, with students paying €12.50. This Saturday will kick off Christmas celebrations in the Belgian capital with the first installment of Electrabel Nights. A series of weekly shows at the Grand-Place in Brussels open to all. Electrabel Nights isn’t your standard lighting of a Christmas tree, with a couple of carols and a guest appearance from Santa. Each weekend through to New Year’s Day there will be mind blowing shows from world renowned performance artists, mixing music and lighting with their own special talents to wow you through the festive season. Some of these acts include gravity defying gymnasts, crystal musicians in costumes of mirrors, fire eaters and moon-climbing acrobats. There will, of course, be a choir on Christmas Eve so if you are planning to spend the Christmas period in Brussels you’ll get your fill of the traditional as well. The Grand-Place will be well and truly decked out, with a gigantic light sculpture that will send shimmering rays across the entire city. This will surely be one of the Christmas Wonders of Europe in 2011. 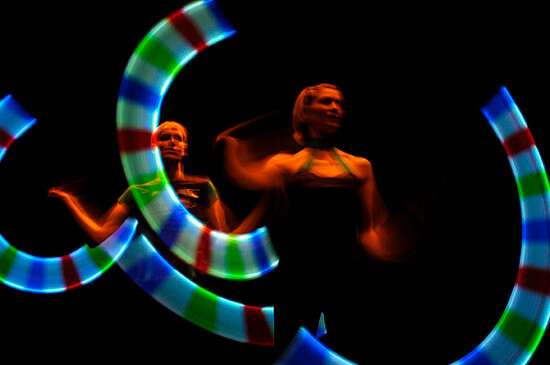 The showcase starts on the 26th November with a performance by master jugglers ‘Feeding Fish’. This British troop have performed in over 33 countries, there astounding blend of choreography with pulse raising music and psychedelic lighting will have you entranced as just the beginning of Electrabel Nights. To get to Brussels in time for Electrabel Nights 2011 a P&O Ferry can take you on the crossing from Hull to Zeebrugge, from which the Country capital is just a short journey. 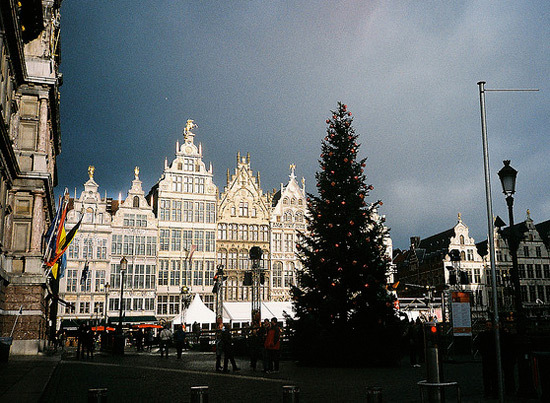 Over the last couple of weeks, we’ve been making travel recommendations for the period leading up to Christmas – Lille, Strasbourg and Rotterdam were among those mentioned for their great atmosphere and Christmas spirit. Today we want to flag up for you some of the exclusive Christmas offers from P&O Ferries – available en route to your little festive getaway. P&O Ferries are offering their passengers 20% off fragrance gift sets, as well as a ‘Buy 2 and save £10’ deal on malt whiskies – great offers for anyone in the market for some high-end Christmas presents! Elsewhere, there is a cheeky discount on spirits: Any of the following two spirits will only cost you £28: Bombay Saphire, Smirnoff Red, Bacardi Carta Blanca (and other flavours), Mount Gay rum and Famous Grouse whisky. Stock up on some warming spirits for the cold holidays. 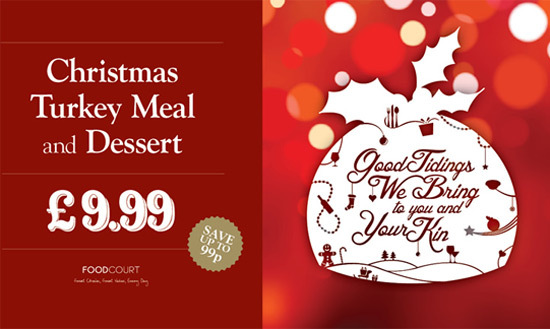 Probably the real kicker is the fantastic offer of a full Christmas turkey meal plus dessert for less than a tenner, available onbard in the P&O Ferries food court. There are other discounts on children’s toys, hot drinks and biscuits, so your trip to Europe this winter will be as pleasant as can be. Book your P&O Ferries trip today to take advantage of these great offers! Tomorrow will be the third Thursday of November, and you know that means? 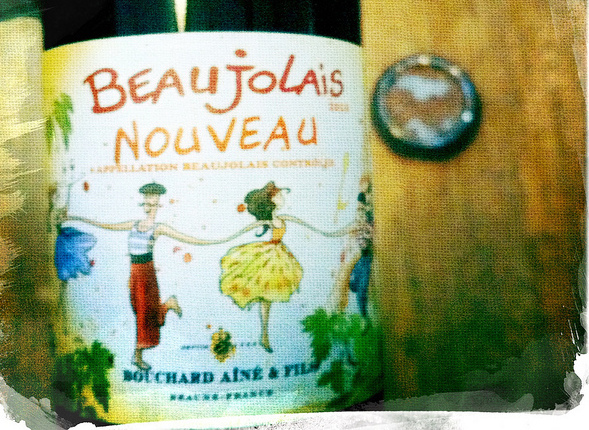 Beaujolais Nouveau is here again! And that means the 2011 store of Beaujolais Nouveau wine is soon to be uncorked for the first time…and drunk in abundance. Traditionally, in the words of Bernard Ludwig Black “Old wine, is good wine” Beaujolais Nouveau, of course, being the exception. This is a youthful vintage bottled after a mere 6-8 weeks, it’s meant for immediate drinking, we’re speculating here but assumedly one winemaker couldn’t handle the wait, sampled it early and thought ‘That ain’t bad’ or at least something similar must have happened. In France the Beaujolais Nouveau festivities kick off at the stroke of midnight. Towns that have the wine stocked crack into their stores and make merry until late into the night, in Paris restaurants stay open until late, there’s live music and fireworks. The French government have passed regulations to ensure that the wine is only drunk after midnight on Thursday and the intention is to have the year’s harvest drunk by Christmas – excellent right? It may be quite short notice for you to get to France in time for the Beaujolais Nouveau celebration, although P&O Ferries can take you across the channel at short notice, but this year’s yield of Beaujolais will still be knocking about well into December so there’s plenty of time to sample this year’s vintage. P&O Ferries can get you to wine country in France from via the Dover-Calais service, so book now, our hats are off to you if you can get to the Beaujolais Nouveau festivities tomorrow night! In the last few weeks, we’ve been talking up the virtues of Bruges, Lille and Strasbourg as great destinations in the pre-Christmas period. This week, we’d like to point you towards the P&O Ferries port city of Rotterdam. Some people might already be familiar with the weekly Binnenrotte market, where all sorts of delicacies and goods are sold twice a week in the biggest market square in the Netherlands. In the run-up to Christmas, this area of Rotterdam is turned into festive zone full of more than 100 themed market stalls and a smell of mulled wine, sausages and spices. You’ll be able to browse for hours and hopefully head home with some classic Dutch decorations and culinary discoveries. The Binnenrotte market is a great place to shop for Christmas presents, or just to hang out, soak in the European Christmas atmosphere and come home inspired. Trying out the Poffertjes, a sweet sort of Dutch pancake, is highly recommended. The Rotterdam Christmas market starts on the weekend of the 12th December, and around the market there will be ice skating rinks set up, as well as a live band belting out all the classics. To get to Rotterdam for a Christmas getaway, all you need to do is jump on a P&O Ferry from Hull to Rotterdam. Tickets are available form only £109 each way, which covers the price for a car and two passengers. 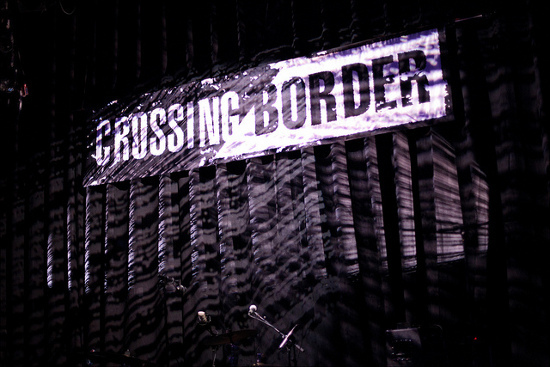 Next week will see the 19th installment of Crossing Border, a literary and arts festival spanning both Holland and Belgium, tickets are on sale now; we suggest you hurry though this year’s line up is attracting a lot of attention so tickets won’t last. The Dutch installment of Crossing Border lasts from 16th-19th November and then it moves over to Antwerp over the 19th-20th. Crossing Border is hosted in multipl locations in The Hague’s Theatre Quarter, comprised of Royal theatre (Koninklijke Schouwburg) and the National Theatre (Nationale Toneel Gebouw). And the festival continues in Antwerp’s Toneelhuis theatre. This arts festival is true blend of creative disciplines, including film, music art and literature. It encourages flourishing talent, workshops, talks and Q&As are all a part of it. There will also be readings and performances from celebrated artists over the course of the festival. The lineup has now been confirmed so for more information look at the Crossing Border website, some of the stages that have drawn our attention include this year’s Pulitzer winner Jennifer Egan as well as novelists Ali Smith and Paul Murray. We’re also going to be fighting our way to the front of the crowd to see Laura Marling, Emmy the Great and CAKE performing on stage. Tickets are selling like hot cakes but there’s still time to get to this amazing festival. P& Ferries is an ideal way to get across the Channel on your way to Holland or Belgium. After we recommended you the Lille Christmas market the other week, P&O Ferries would now like to point you in the direction of another town that should help you get in the festive spirit: Strasbourg. Due to its location close to the German border, Strasbourg’s Christmas market has a distinctly German touch – but that’s definitely an advantage, since the Germans do Christmas markets better than almost anybody else. Combined with Strasbourg’s lovely cathedral, alleyways and market squares, this expertise in all things Yuletide makes for a fantastic experience leading up to the holidays. 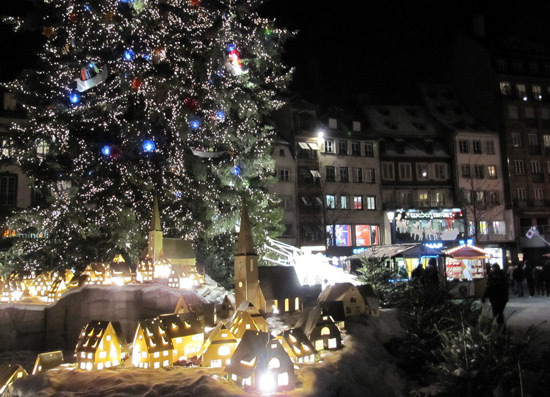 Taking part from 26 November until 31 December 2011, the Strasbourg Christmas market might be a bit out of the way for some P&O Ferries users, but it’s definitely worth the trip. The main Christmas market is held in the area surrounding the town’s cathedral and has been going for more than 400 years. There are, however, 11 more markets spread around the city, including a market dedicated to the guest of honour, the country of Switzerland. Every year at the Strasbourg Christmas market, a country is awarded the opportunity to bring a bit of its own festive spirit to Alsace. The Swiss Village will offer artefacts and Swiss delicacies to punters – there will be traditional lumberjack tea and of course different cheese and chocolate treats. There will also be the chance for parents to spend some quality time with their children in one of the many activities organized specifically for kids at the Strasbourgh Christmas market. There will be an ice skating rink as well as an ice garden containing tunnels and sculptures, and there will be shows put on in the dedicated Christmas village every Wednesday, Saturday at Sunday at 2.30, 4 and 5pm. In addition to all this, there will be free classical and choir concerts, theatre performances, carols, organ recitals, and much, much more. One last highlight we’d like to point out is the huge Christmas tree in the place Klebér, beautifully decorated and illuminated by Antoinette Pfimlin. As you can see, there is more to Christmas markets than mulled wine and handicrafts (of which there will of course also be plenty) – why not take a little trip to the continent to get into the spirit? To get to Strasbourg, you can take a P&O Ferry to Calais and drive to Strasbourg via Dunkirk and Lille (around 5.5 hours).